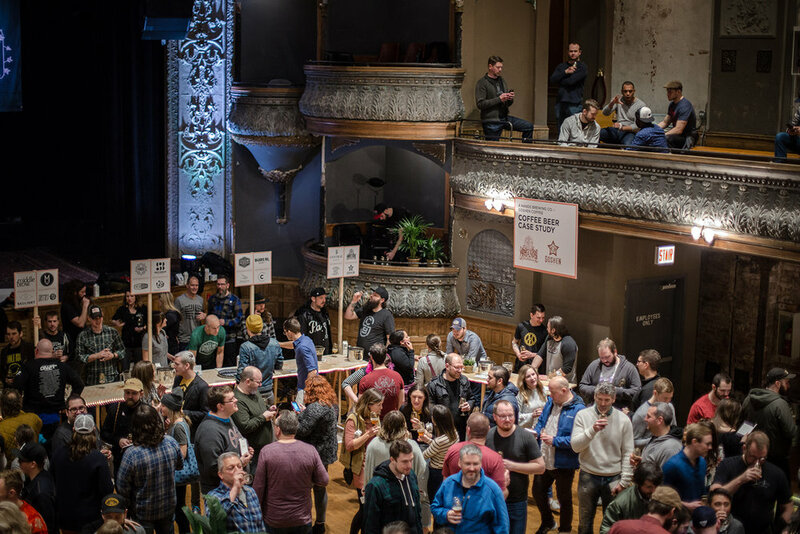 Uppers & Downers began in 2013 as a conversation between Good Beer Hunting's Michael Kiser and World Barista Champion Stephen Morrissey about the lack of creativity and sophistication in coffee beers. Fast forward five years and Uppers & Downers has grown into a series of immersive and collaborative coffee/beer experiences. Click here to read the recap of this year's Chicago festival. After the success of our first London-based event at Brew by Numbers last year, we're growing our UK Uppers & Downers to feature more brewers, more roasters, more attendees, and more space. We’ll be setting up shop in Mick’s Garage in Hackney Wick, operated by Crate Brewery, and invite both coffee and beer fans to come and experience this unique event. Uppers & Downers will bring together roasters and brewers pouring experimental one-off coffee beer collaborations. Our goal with U&D is to focus on coffee as a specialty brewing and blending ingredient with origin. To that end, you'll get to experience coffee beers in a range of unexpected styles, extraction methods, and blending techniques that showcase the innovative flavors, aromatics, and textures in the finished beer. In addition to beer, we'll have roasters on hand serving coffee, as well as some other fun treats. Please note that previous postings of this event had two separate session times. We've consolidated it to one single, longer session.